Noah McKenna is a lifelong JP resident who is passionate about economic democracy and community self-reliance. While working as a molecular biologist, he became an avid gardener and permaculture partisan. He relishes the challenge of creating abundance in small urban spaces, and especially enjoys training trees and vines to unique shapes and trellis structures made of bamboo and recycled materials. Through his involvement in the Occupy movement, Noah was spurred to bring his values, passions, and livelihood into alignment. 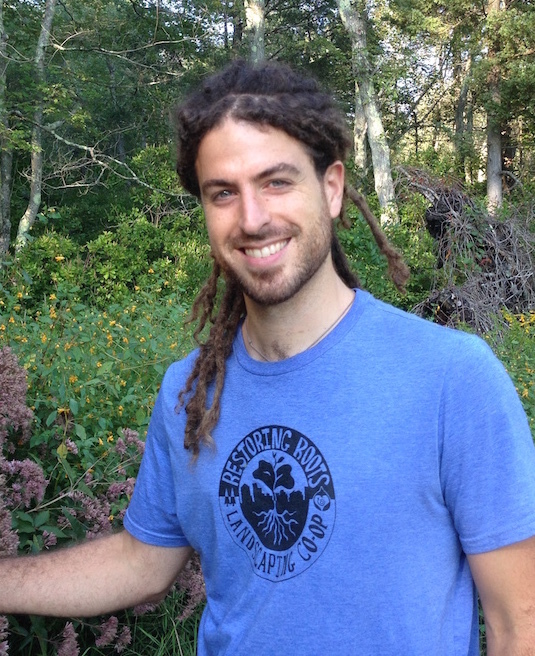 Together with Cheryl DeSanctis, Noah founded the cooperative in the spring of 2013 to create dignified livelihoods that are socially and ecologically restorative, and which allowed worker-owners to pursue their activism and other projects. When he is not thinking about plants, Noah is volunteering at the Lucy Parsons Center or engaged in various local and global struggles for collective liberation.